Strassa’s sleek design and rectilinear lines make this collaborative table in style, anywhere. Strassa Tables combine classic structure with today's need to collaborate. Whether you are gathering as a group or need some space to spread out, Strassa’s one-piece table top will smoothly accommodate your needs. 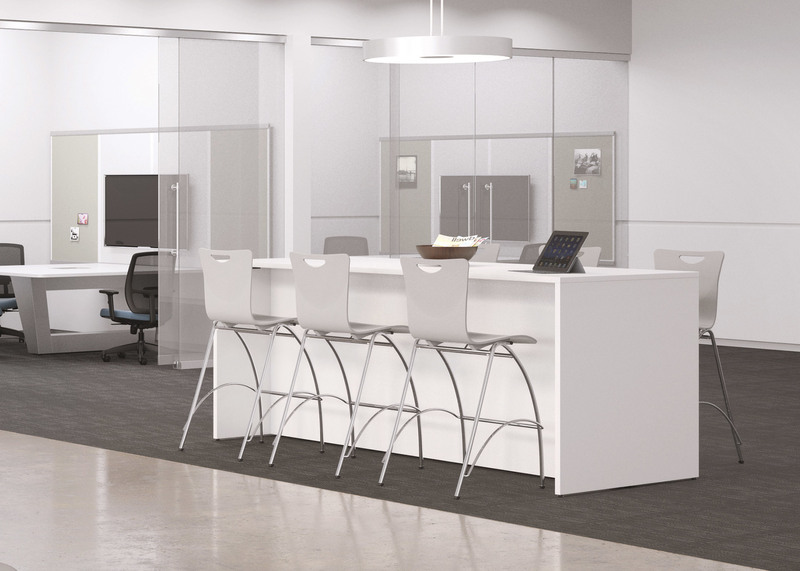 Standard, counter, and bar heights allow flexibility so that Strassa can be used throughout an entire environment. With Strassa, the possibilities are endless...education spaces, corporate areas, café spots, design studios. Let your imagination run wild and let Strassa run along with it.